Ethanol, also known as ethyl alcohol, is a flammable and colorless chemical compound. Ethanol produced by or from a biological source is Bioethanol. Bioethanol is made from sugar plants (sugar beet or sugar cane), Molasses, and starch (grain, mostly corn and tubers such as cassava) and cellulose plants. First year of fuel ethanol program. 158 million litres consumed out of planned 300 million litres. Restart of program with voluntary blending by oil companies. Only possible in 7 states. Expected rollout of 5% blending across the country (except north-east and island states). 5 % Ethanol blending made mandatory, Procedure started. Ethanol from Direct Sugarcane Juice is Permitted. 10 % blending made Optional. Government plan for 10% blending across the country expected. National Biofuel Plan – 20% blending across the country. At Business Brains Consultancy we define success as helping our clients make the right business decisions. 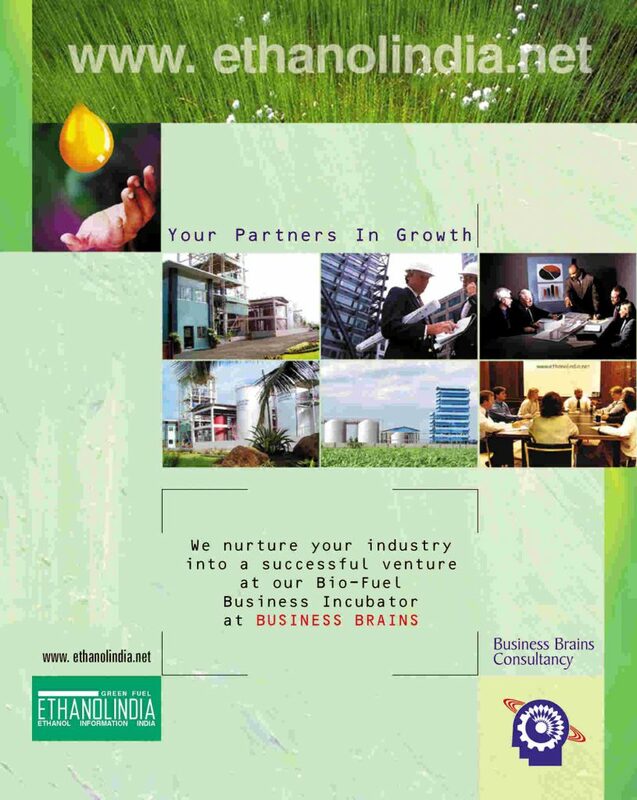 Our in-depth knowledge and breadth of experience have resulted from years of advising and running sector of the bio-fuel industry. Business Brains consultancy has strong expertise and unmatched ability to perceive trends and identify the advantages. Business Brains is a team of technocrat and management professionals. The organization has several industry experts as its associates available for industry specific advice. 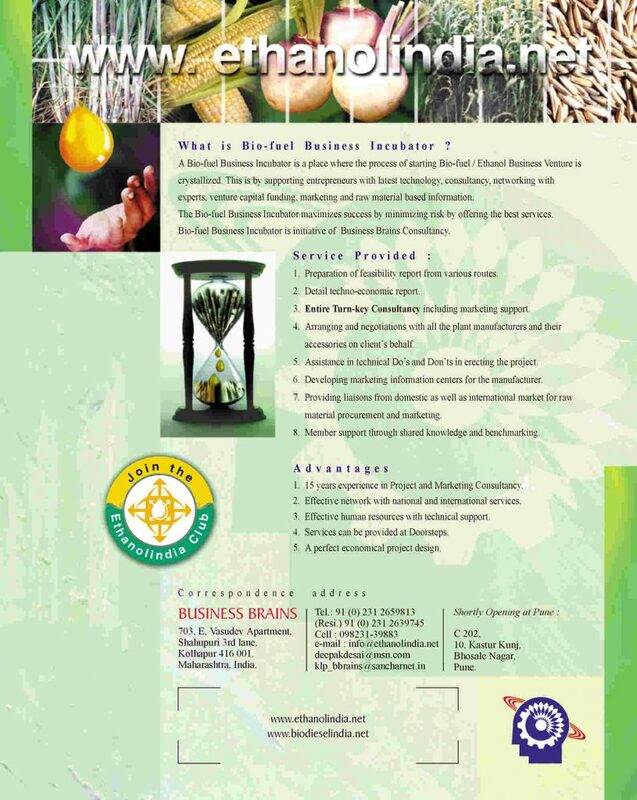 Business Brains has an exhaustive in house database-covering subjects relating to field of activities. The Policy categorises biofuels as “Basic Biofuels”. The Policy expands the scope of raw material. Policy allows use of Sugarcane Juice, Sugar Beet, Sweet Sorghum, Corn, Cassava, wheat, broken rice, Rotten Potatoes for production of ethanol .